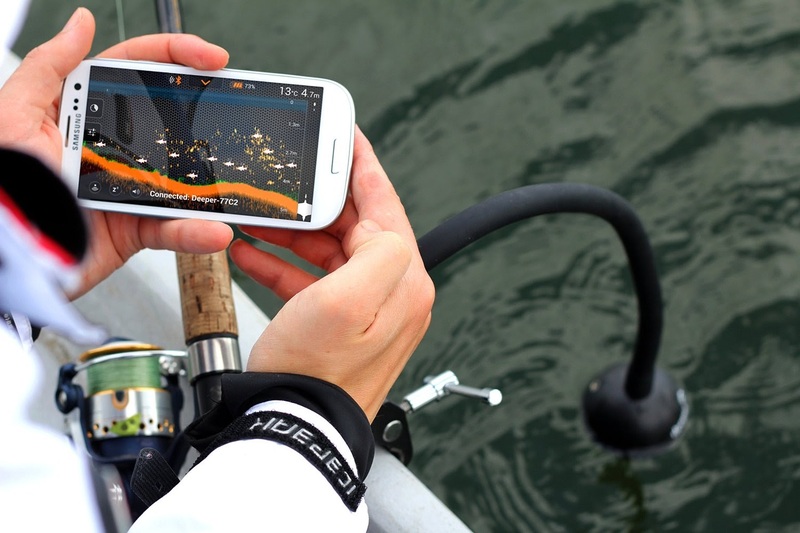 The Deeper Smart Portable Fish Finder 3.0 (Depth Finder) for Smartphone or Tablet is suitable for all types of fishing in both fresh and salt water, including shore fishing, kayak fishing, boat fishing, river fishing or even ice fishing. The Deeper Smart Fish Finder 3.0 is a wireless castable echo sounder that features wireless Bluetooth connection that can be paired with your iOS or Android smartphone or tablet with the free Deeper App downloaded on your mobile device to bring you effective underwater sonar technology that would have previously only be available on a fishing boat’s console. Thanks to the Deeper Fishfinder’s internal Bluetooth, you don’t have to worry about finding a Wi-Fi connection or using mobile data at your fishing spot – Bluetooth connection works between the Fishfinder and your mobile device up to 130 feet (40 meters). The Deeper Smart Portable Fish Finder can be cast to any spot on the water. Floating on the surface of the water, the sonar beam scans what’s under the water (with a depth range of 130 ft / 40 m and a scanning frequency of up to 7 scans per second) and the Fishfinder transmits detailed bottom and water column information direct to the screen of your mobile device. 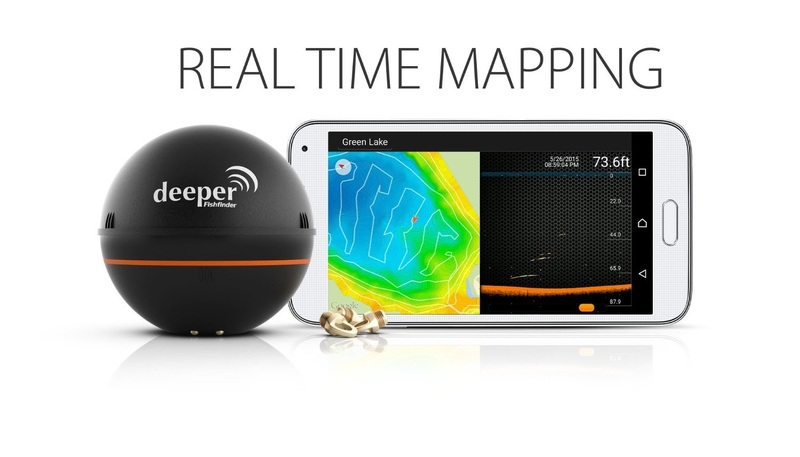 The Deeper Portable Fishfinder captures depth, bottom structure, temperature, vegetation, fish location and other valuable data to help make your fishing trip more productive. The Fishfinder’s scanning resolution separates objects in a distance up to 0.25ft / 7.8 cm. 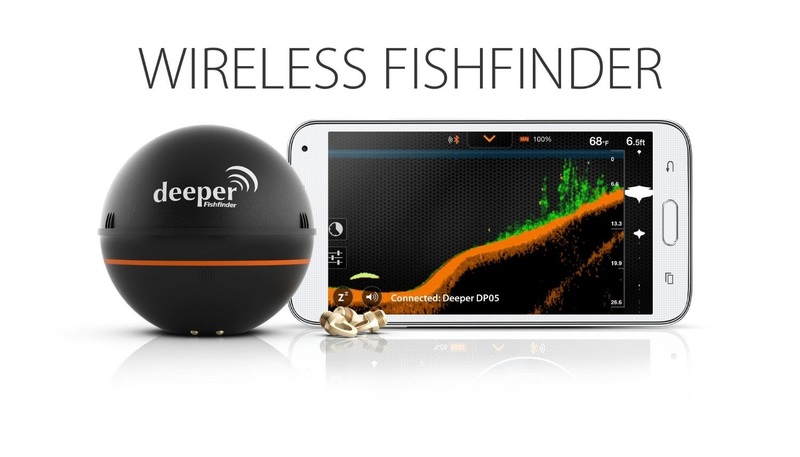 The Deeper Smart Fishfinder 3.0 offers dual frequency to provide two-fold area coverage – 290kHz (15 degrees) narrow beam for high accuracy scans of bottom structure and fish, or 90kHz (55 degrees) wide beam for extended search area. Additional features of the Deeper App include Online/Offline Modes, Solunar Forecast Calendar, Fishing Notes, Offline Maps, Weather Forecast, Camera, Day/Night Screen Color Mode, Social Media Sharing and more. The App is regularly updated with new or up-graded features to continually improve the efficiency of your fishing. 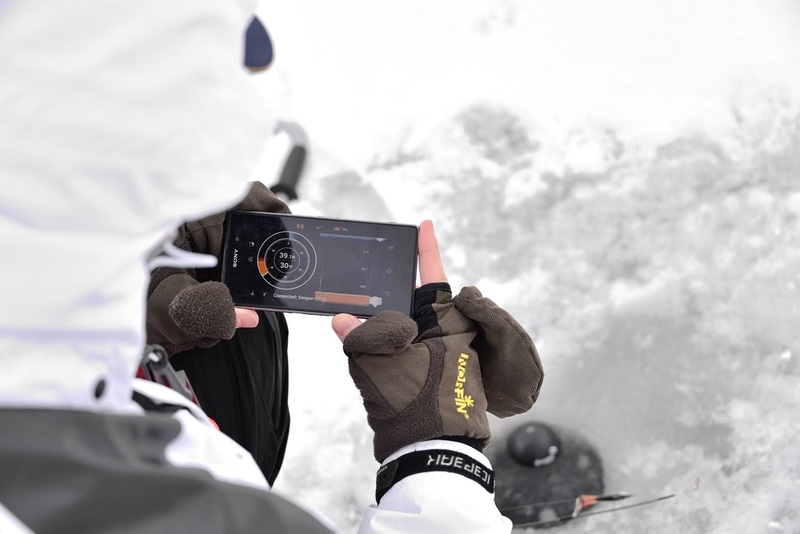 For ice fishing, the Deeper App can display a traditional ice fishing Flasher Screen enabling you to monitor the conditions under the ice. The Amplitude Scope Mode enables you to track the movement of small lure or bait in real time. 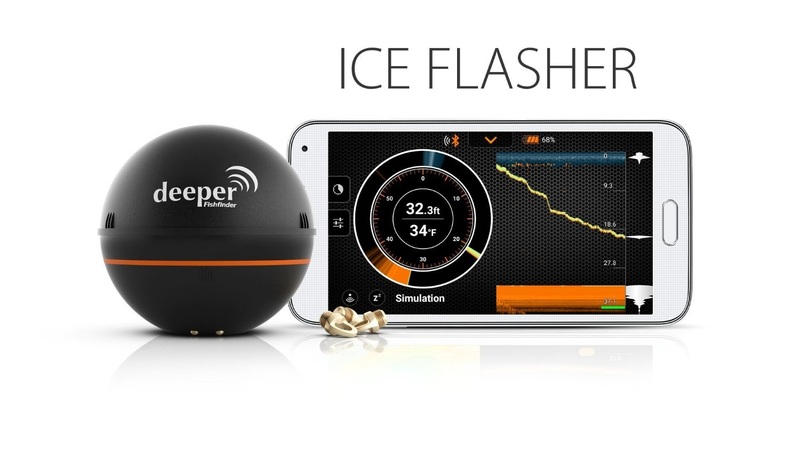 The Split Screen function transmits both Regular and Ice Fishing Flasher Modes on 1 screen. There’s also a Zoom feature that enables ice anglers to enlarge the area to focus on objects of your choice on the Vertical Flasher to give you better real time lure and fish tracking. The compact design of the Deeper Smart Fishfinder 3.0 makes it easy to fit into your tackle box or place it in the included neoprene pouch and attach it to your belt. The Fishfinder weighs just 3.5 ounces (100 grams) and measures 2.5” (6.5 cm) in diameter. It’s designed for use with standard rods and lines – tie it to your fishing line or use it with a Flexible Arm Mount to fasten it to your kayak or boat. 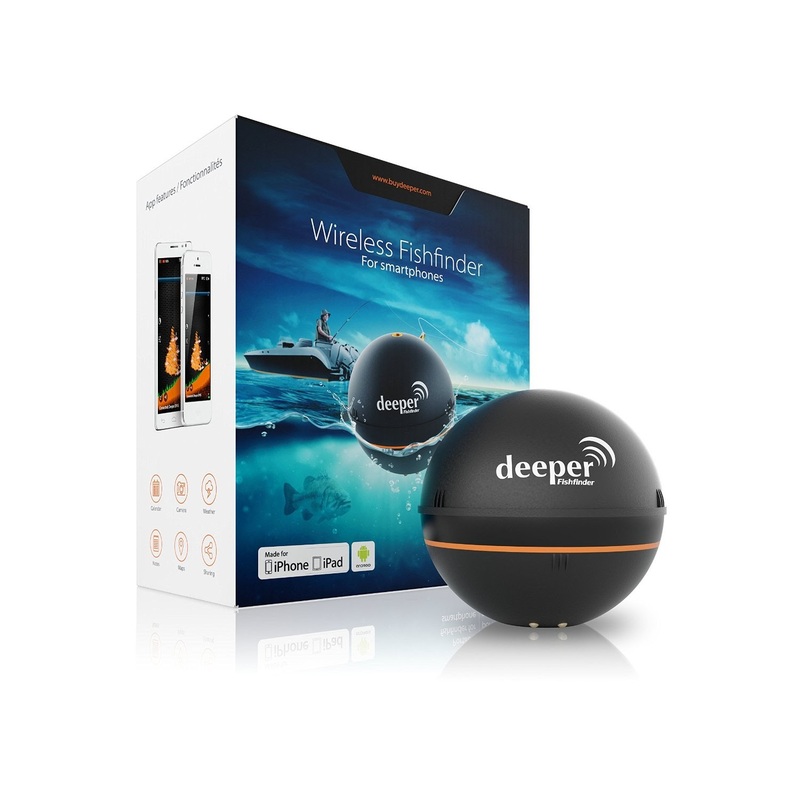 The Deeper Smart Fish Finder 3.0 (Depth Finder) features a rechargeable battery which lasts for up to 6 hours of continuous use on a single charge. Full re-charge time takes around 2 hours.